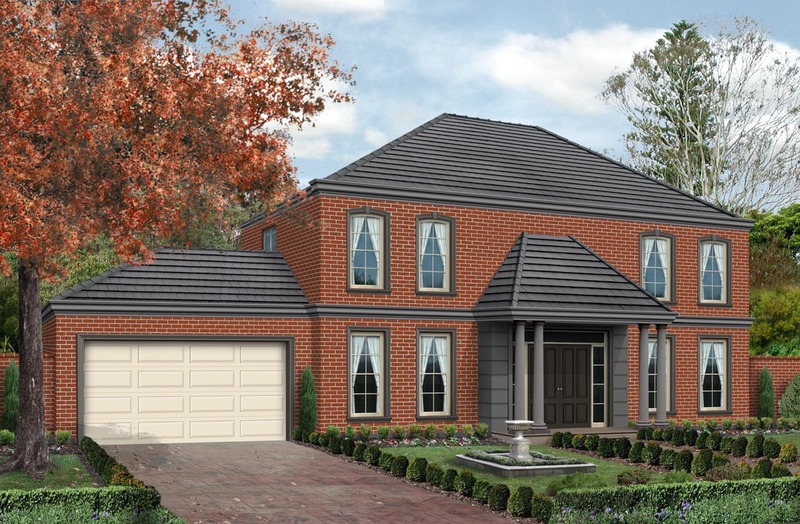 If you’re searching double storey homes for the ideal residence to build on your Melbourne or Geelong block, the Oakville Manor is a perfect mix of elegance in one grand, luxurious offering. Step inside and the superlatives will start flowing – words like impressive, sophisticated and classy all suit this impressive house design that includes a wrought iron staircase, gourmet kitchen and informal family area, formal dining and living space and a rumpus room. The downstairs area also features an impressive laundry, with its own walk-in cupboard so you can tidily tuck away linen, brooms and other items. 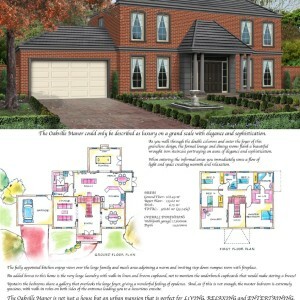 Many double-storey house designs in Melbourne and Geelong place bedrooms on the top floor. It’s the same with Profile Homes’ manor house. But few residences have the feeling of opulence that the Oakville Manor conveys with its sense of space and attention to detail across more than 37 squares. The roomy master bedroom, with ensuite and twin walk-in robes is certainly impressive. 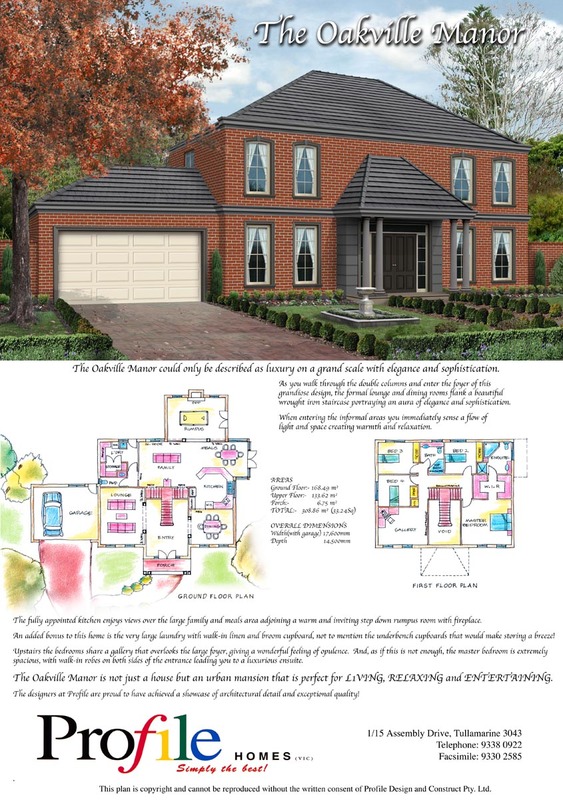 This mansion, with its attached garage and generous porch, is a proud example of Profile Homes’ quality range of two storey homes. 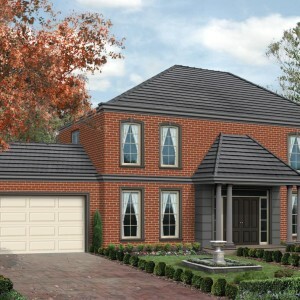 The Oakville Manor covers a total of 344.86m2, with a lower floor of 168.49m2 and an upper floor of 133.62m2. It is 17.6m wide and 14.5m deep.